A business model is crucial to the execution of your business idea. It acts as a roadmap that gives you a step by step guide to creating ongoing value for your customers. It also answers the questions about your customer profile, your value proposition and how you plan to acquire profit from your business. Finding a business model that fits your needs is essential. It can act as a tool to help you decide on key strategies to improve your business. Through it, you can also check your growth and make predictions on how your market will behave. It can also give you ideas on how to come up with ways to earn a higher return on investment for you and your team. Join NextStep Workshops as we start another series for the entrepreneur, Roadmap to Success: Strategic Planning for your Business. First on our list is Designing a Tailor-fit Business Model, where we discuss the necessary elements in creating your own business model canvas. Greg Prudhommeaux, the serial entrepreneur and founder of NextStep Workshops, will be helping you understand your target market, identify your customer profile and plan the value proposition you are offering to your target market. *We have scheduled two batches for your convenience: one on November 10 (Thursday) and another on November 12 (Saturday). Please select the date you prefer on the ticket options below. This workshops will be offered online on-demand after the live event, powered by Prodygia, our partner platform. Tickets to the workshop include free access to the on-demand version. If you can’t attend the live workshop, leave your email here for the on-demand version, so you get notified when it will be available (no obligation). Greg Prudhommeaux is a serial entrepreneur and founder of NextStep Workshops. A native of Lyon France, he came to China in 2005 and has been living there ever since. He has had humble beginnings, working as a DJ, clerk, and receptionist before working his way up the corporate ladder in the hospitality industry. After a successful career as a Business Developer, General Manager and Consultant, Greg decided to take control of his affairs and started a career as an entrepreneur. Greg currently runs five projects including NextStep Workshops, an online and offline platform providing hands-on workshops and trainings aimed to help entrepreneurs and managers accelerate their careers. 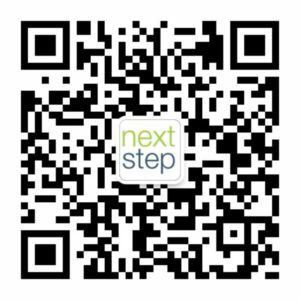 Almost a year after its relaunch, NextStep has now provided more than 30 workshops and events to Shanghai professionals and continues to come up with interesting topics catered to professionals, find experts in the specified topics, and learn together with those who share the same curiosity. Greg now shares the lessons he has learned in setting up his own business through a series of workshops discussing everything you need to know to plan, launch and execute their business ideas.